While she’s now based in Stockholm, Maria w Horn looks further north on her eerie new album Kontrapoetik (a co-release between Portals Editions and Horn’s own XKatedral imprint). Namely the Ångermanland province, which was the site of such atrocities as a bloody sawmill strike and Sweden’s worst documented witch trials. To help better understand the background of her mood-altering music—as well as the boundless collective (Sthlm Drone Society) Horn co-founded after a stint in Berlin—we asked the composer to make us a mix. Her transcendent set is both a tightly edited survey of Stockholm’s experimental music scene and a crash course in Horn’s record collection. Listen and learn…. John Bence’s three-movement EP Kill tackles an epic narrative of a murderer who kills his lover, commits suicide, and then accelerates towards God to be judged. This work resonates with me not only for its immense beauty, but tickles my interest on how certain sounds can work as triggers for our consciousness to enter different states. Growing up in a Christian society, I have a special relation to sounds that have been used traditionally within Christian rituals, such as certain psalms, church bells and organs. In my own work—leading up to Kontrapoetik—Christian dichotomies and symbolisms has been an integral influence. I grew up in Ångermanland in the aftermath of the black metal-related church burnings in Bergen. There was definitely a heightened sense of paranoia about teenagers becoming Satanists, and for me this was part of the appeal of black metal. I ended up getting thrown out of church by one of the priests, because he thought I was a Satanist. My favorite album by Finnish black-metal band Beherit is their classic Drawing Down the Moon; however, I appreciate the experimentalism in Electric Doom Synthesis. This album came out at a time when deviation and experimentation were strictly forbidden within the black-metal community. During the 16th century, Västernorrland was the site of the largest documented execution of women accused of witchcraft, and one part of its local museum is dedicated to the history of these trials. As a kid, I was scared of entering this part of the museum, as it was filled with odd artifacts and books, dim lightning, and hypnotic chanting played back from loudspeakers in the room. Years later I found out that these songs were a commission from the museum to Swedish folk singer Susanne Rosenberg, composed using archival materials related to the witch trials. A year ago we organized an XKatedral event in Stockholm where we invited Zach Rowden and Leila Bordreuil to perform. I would describe their collaboration as amplified acoustic harsh noise—a sonic force with lingering threat of bodily harm. We are very excited to present a tape to be released on the 30th of November with Zach’s music. Tasked explores the psychoacoustic sonic possibilities of the contrabass. Yair and Mats are both close to me, and after introducing them to each other nearly six years ago, I’m happy to follow both their growing friendship and musical collaboration. Negative Chambers is their first collaboration and they refer to it (with a hint of irony) as fake medieval music. They both perform separately as electronic solo acts, but their collaboration also enabled them to make use of their skills as instrumentalists. There is an impressive list of instruments used in the creation of this album of dislocated “folk” music for the current dark ages. This is one of my favorite tracks at the moment. We tried to book Nortt with Sthlm Drone Society, but apparently he never does live shows so that was a no-go. This music makes any rainy day feel epic and ominous. “Ångermanländska Bilder” is a piece that came out of a commission from a local museum in my home region of Ångermanland. I got access to its archives and found Super 8 material depicting the environment during 1930-1940, which I then used for this audiovisual piece. This work also served as a starting point for the broader research I made in connection to Kontrapoetik, that eventually turned into a kind of counter-exorcism of the area of Ångermanland—a way of exposing the traumas of the past in order to move on. While going through the archives, I found this vinyl of ancient Swedish pastoral music originally released by the Swedish National Radio in 1966. The music stems from various parts of the country and contains simple folk melodies on pipes and horns that were passed on through generations. 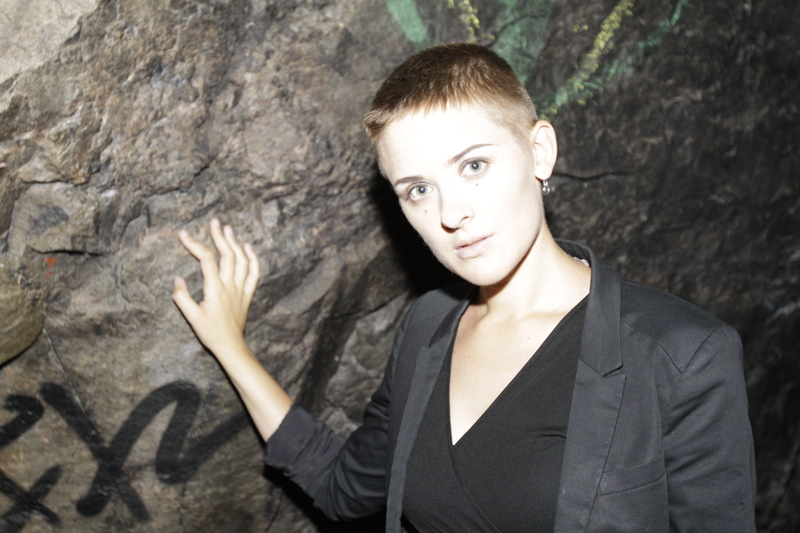 Kali Malone is an American composer who has lived and worked in Stockholm since 2012—around the same time as when I moved back after studying in Berlin. We became friends and eventually started XKatedral. Organ Dirges is a collection of beautiful isorhythmic organ canons that she recorded between 2016-2017 at the Royal College of Music in Stockholm, where we are both currently finishing our master degrees in electroacoustic composition. I have been following David’s work since 2008, when we both studied electroacoustic composition in a pre-college school located in my hometown Härnösand. He works extensively with electronic music formed by algorithmic and aleatoric processes. We are currently working towards presenting an XKatedral vinyl release containing some of his compositions. Daniel is an old friend of mine and an integral part of Stockholm’s experimental music circuit. He works with generative algorithmic composition using open source programs, and has a lot of interesting thoughts regarding authorship in music. A Loss of Self is also the title of his upcoming XKateral tape release, containing two drones of infinite duration. The source code for these pieces will be made available online on his website for anyone to download and use as they like. During my teenage years I played bass in an all-girl folk/rock band. Each weekend we traveled to some godforsaken part in the north of Sweden to perform our music. Hedningarna was one of our biggest inspirations—the way they blended electronics and rock with elements from old Scandinavian folk music and ancient instruments. Kontrapoetik is shaped by two parallel topics: the Ångermanland research and the Satanic feminist sect, both related to counter movements. The goal of the work within the sect was to develop an artistic practice consisting of ceremonies and rituals based on counter readings of the Christian genesis narratives, dismantling its misogynist traditions. In these counter myths, Lucifer is re-conceptualized as a feminist liberator and symbol of trans-activist resistance. Satan is seen as an ally in the struggle against a patriarchy supported by God the father, the priesthood, and a cis-normative cosmos. The ingestion of the forbidden fruit by Eve becomes a heroic act of rebellion against the tyranny of God and Adam. The collaboration with Djuna Michelle Janmyr on the track “Ave” was an attempt by the group to mold a gateway, or a channel of some sort, to Satan. This is a live recording where Djuna Michelle Janmyr and I are accompanied by the string quartet Malvakvartetten, recorded on the XKatedral release show for Kontrapoetik at Fylkingen on September 15, 2018.